The U.S. Consumer Product Safety Commission (CPSC) opened a mammoth-sized can of worms when it decided to go after former Maxfield and Oberton Holdings CEO Craig Zucker in his personal capacity earlier this year. His transgression? Refusing CPSC’s request to voluntarily and permanently remove his company’s entire Buckyballs® product line of powerful rare earth magnets from the marketplace. Attorneys Sheila Millar and Kathryn Biszko of Keller and Heckman shred the rationale for the agency’s misguided decision—and question the Administrative Law Judge’s (ALJ) actions to date—in a new WLF Legal Backgrounder. The authors primarily take issue with suing Zucker personally. “Individuals,” they point out, “do not check their free speech rights at the door when they disagree with agency actions and exercise their rights to object.” One hopes the agency’s decision to pursue Zucker was not motivated to any extent by Zucker’s rejecting the voluntary recall and/or his “Save Our Balls” P.R. campaign which was deeply critical of CPSC’s strong-arm tactics that bankrupted his company. However, the more one reads about this case, the harder it becomes to escape the conclusion that CPSC has not taken kindly to Zucker’s demand that the agency merely meet its statutory obligation to prove a “substantial product hazard” before ordering a mandatory recall. Even more insidious though is the CPSC’s latter effort to morph the responsible corporate officer doctrine into something that it is not and must never become. The RCO doctrine is a criminal liability doctrine that developed in the context of malum in se offenses against the public welfare, such as storing foodstuffs in rat-infested warehouses. Courts held that corporate officers with a responsible relation to such clear and obvious violations could be held criminally responsible for a misdemeanor offense without a showing that they had the requisite mens rea (or guilty state of mind) that a criminal case otherwise demands. In other words, CPSC seems willfully confused here, and it is at risk of sowing confusion with the ALJ. Just because the agency is trying to protect the public welfare does not mean that every one of its requests, recommendations, or opinions deserves to be treated under the law as the kind of clear and obvious violation of the public welfare that a rat-infested food warehouse represents. The whole point of U.S. v. Dotterweich and U.S. v. Park is that the corporate officer has abundant reason to know that the situation is unacceptable irrespective of the regulatory agency saying a word. Millar and Biszko sum up the problem nicely: “Using [the RCO] doctrine to find a CEO personally liable for conduct that was not even a regulatory violation, let alone criminal, risks creating a new standard: strict personal liability for merely failing to agree to an agency’s request.” If CPSC is given the power to threaten such a result in every recall case, no recall will ever again be truly voluntary. The agency would be able to coerce CEOs into conducting recalls in cases that could not be proven “substantial product hazards” in court because the CEOs would not be willing to take a chance on incurring personal liability. Finally, consider the broader implications if CPSC succeeds at expanding its enforcement authority via this legal sleight of hand. Other federal regulatory agencies will doubtless find a civil version of the RCO doctrine even more attractive than one Buckyball® is to another. 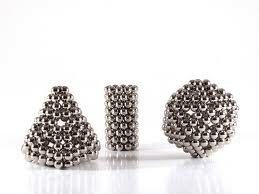 CPSC purports to be greatly troubled by the potential danger represented by rare earth magnets like Buckyballs®. But the agency is pursuing a goal in this case that could be far more dangerous: an agency freed to rule by whim and able to exceed its statutory mandate with impunity. what to make of this Soviet like power in the hands of the CPSC? It’s baffling-unlike any US v corp I have ever seen. Pure abuse of power. A personal vendetta against the CEO for speaking truth to power.